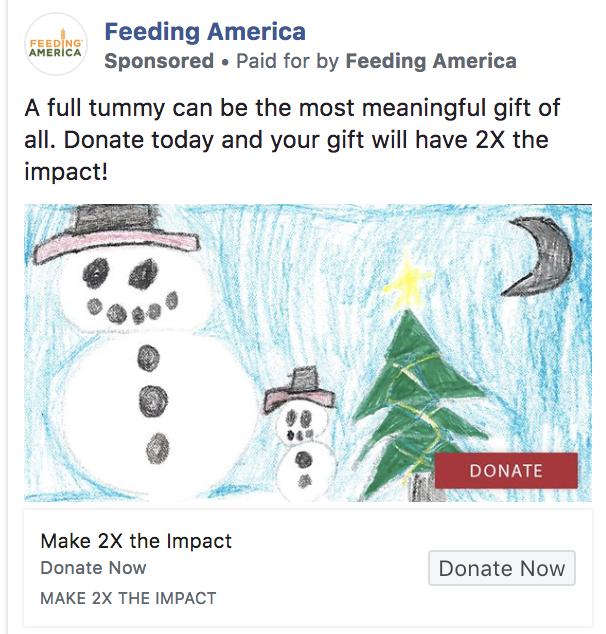 December is upon us, which means the holiday season is in full swing. 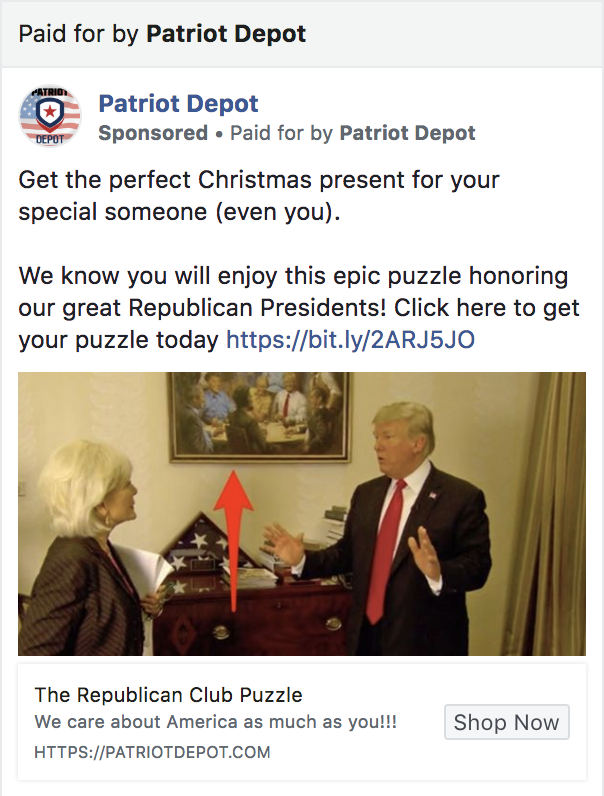 This week, we took a look at how groups on both sides of the aisle are talking about the holidays – and how they’re using the season to build lists, raise money and spread their messages. 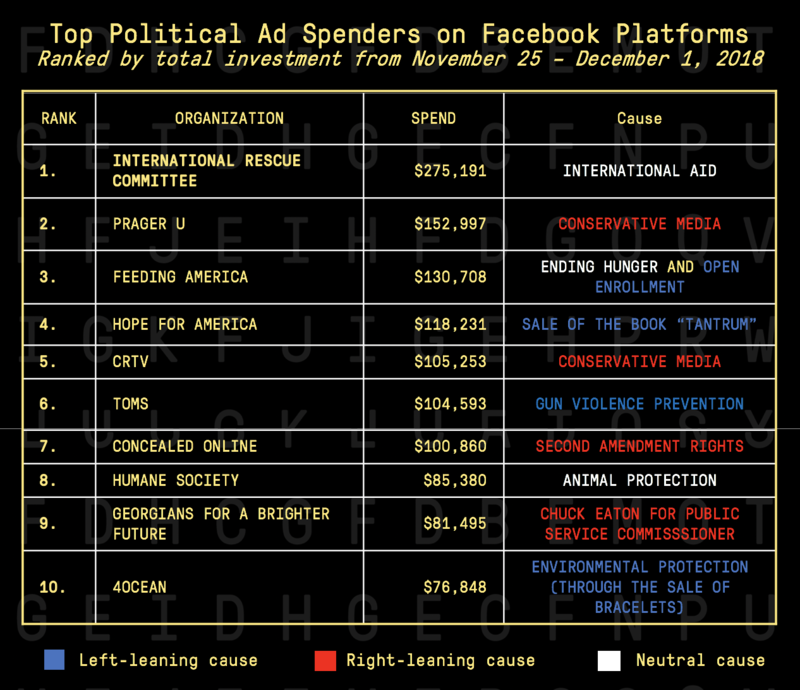 Here’s a list of the top political spenders on Facebook the week of November 25 – December 1 and the causes they’re advocating for. 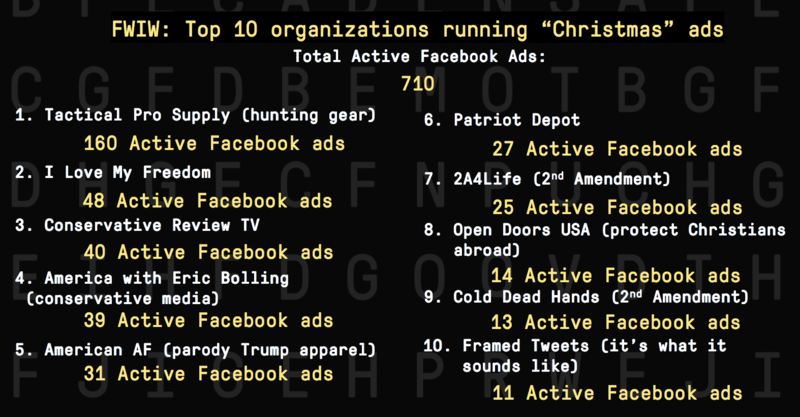 Since this week covered Black Friday and Cyber Monday, many of these groups on the list are not currently running ads, but ran high volumes (and dollar amounts) of ads during those high-traffic shopping days. 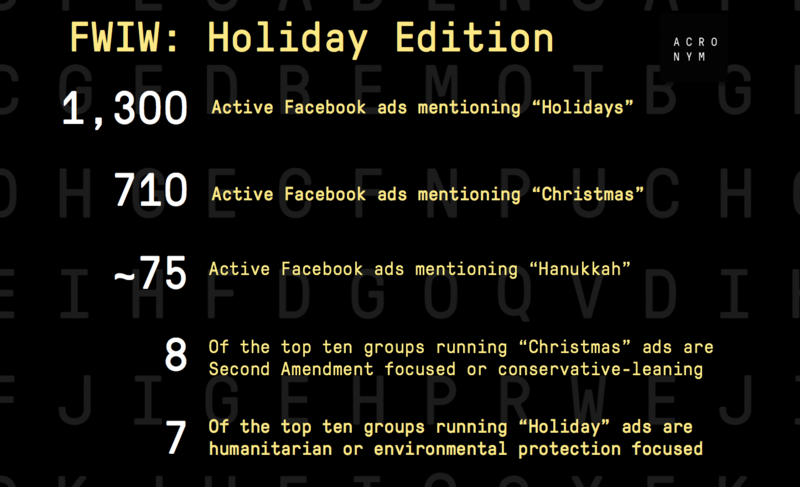 As we dove into the Facebook Ad Archive this week, we noticed a lot of ads running promotions around the holiday season. 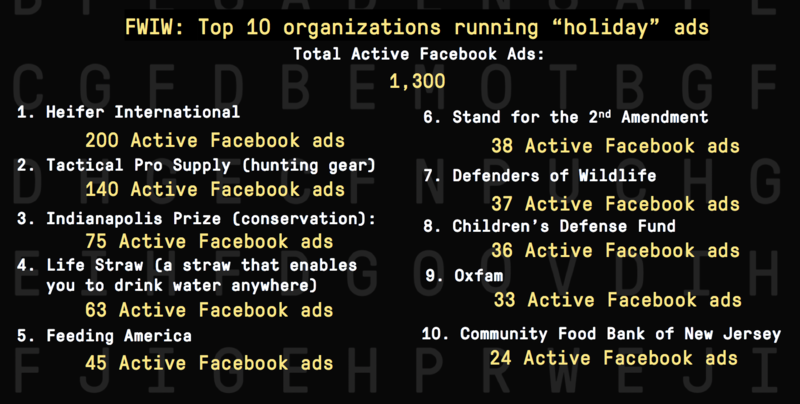 Here, we looked at which organizations were running holiday ads to amplify their messages, raise money and build followings. 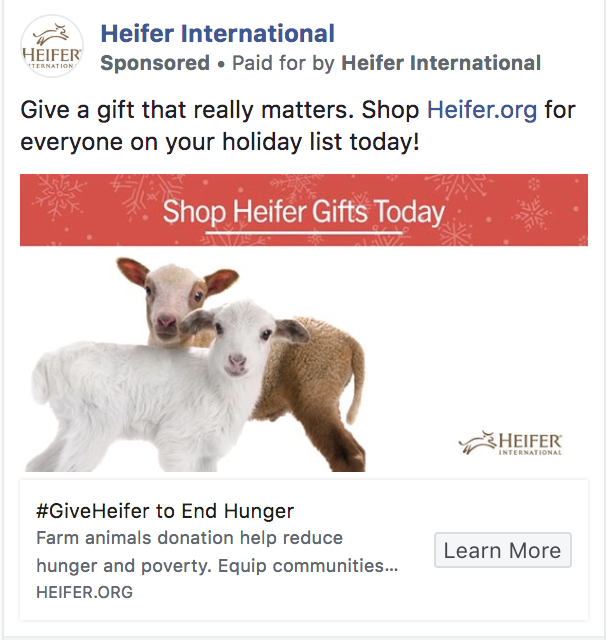 As we dove deeper, we noticed that the left-leaning and humanitarian organizations were running generic messages around supporting causes this holiday season, while the “Christmas”-focused ads were much more likely to be partisan and mention Trump. 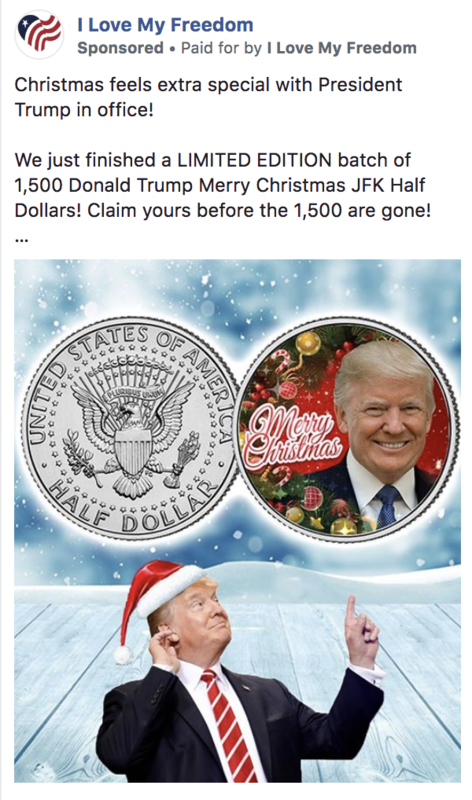 Not only is it the holiday season, but it’s also Open Enrollment season, meaning Americans can sign up or change their health care between November 1st and December 15th. 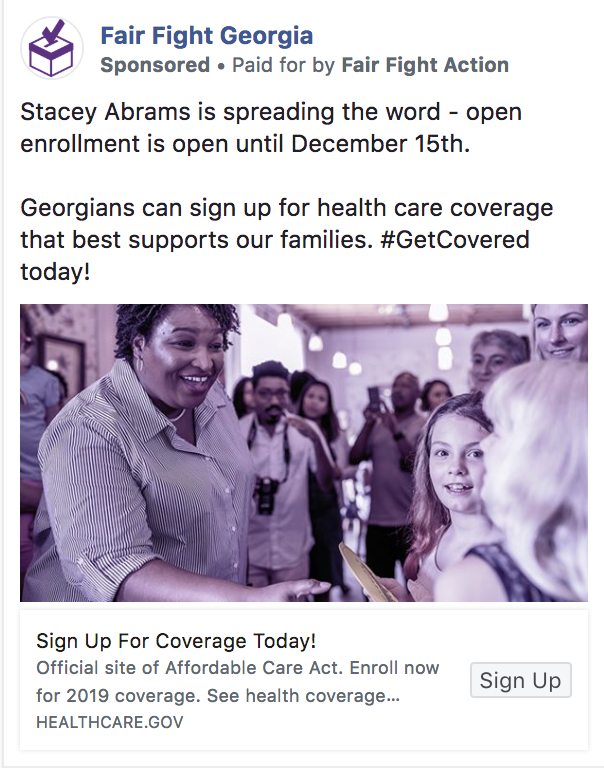 While there are a number of organizations promoting open enrollment, we only found one potential 2020 candidate (on the right OR the left) running ads encouraging Americans to take advantage of open enrollment season: Stacey Abrams. 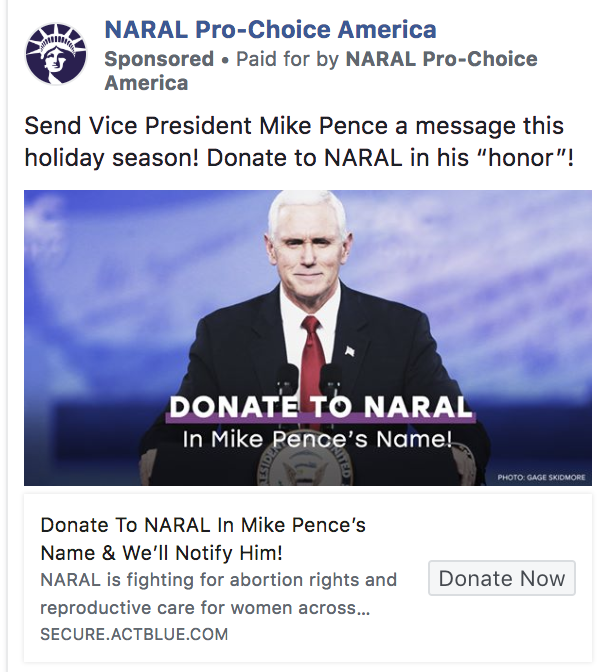 The only other national political figure running ads related to open enrollment is New York City Mayor Bill de Blasio (but he hasn’t been a regular name among the 2020-potentials). 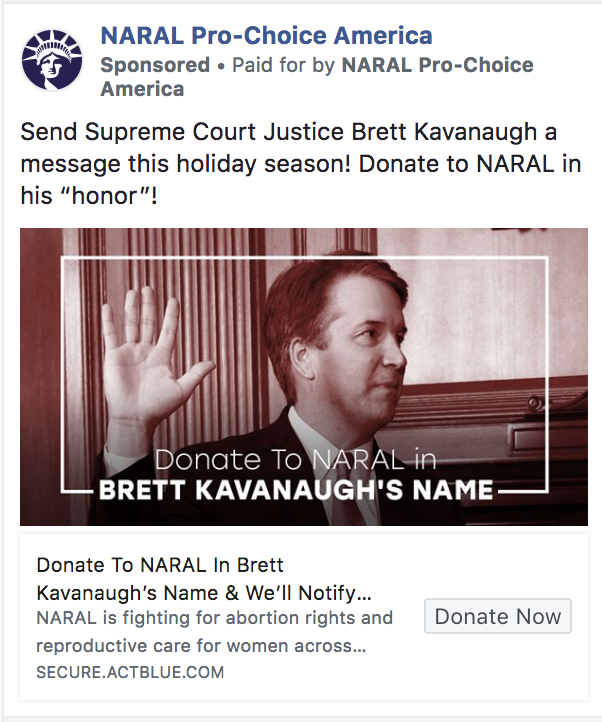 And while many prominent officials mulling presidential bids are running ads mentioning health care, none of them actually direct viewers to make sure they’re signed up – but we’ll let you find those on your own.